In recent years, we have also engaged in re-examinations of the conceptual paradigms at work in image-making from the 1960s until today. 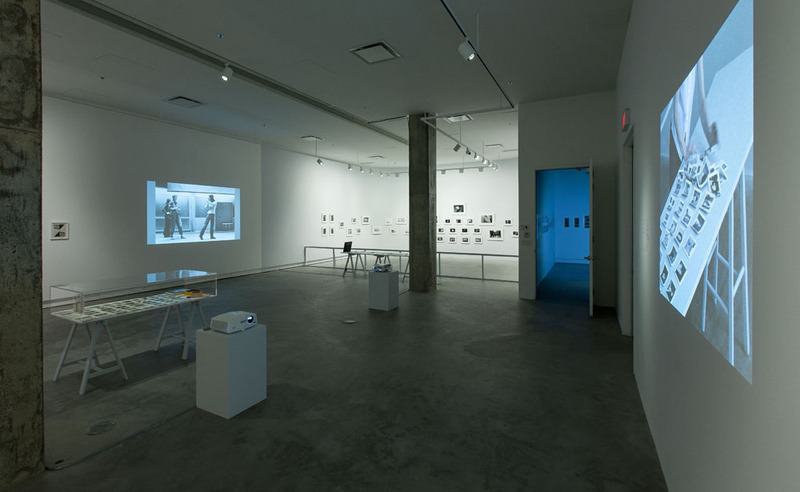 We have also produced retrospective exhibitions, in the process helping to write new chapters in Quebec and Canadian art history all while revisiting little-known conceptual practices. Although over the past few years VOX’s programming has been mapped out according to a specific artistic direction, it will henceforth grow according to research thrusts that are more in the form of a program (including exhibitions but also conferences, screenings, seminars, Web archiving, mediation activities, etc. ), by working groups, over a two- to three-year horizon. The goal of one of those thrusts, given the current context of social flux, is to investigate currents of critical thought. Several projects will be based in theory and practice articulated through the themes of historicity, authorship, cultural policies and political economy. At VOX, we consider image-making practices from a post-media perspective; in other words, above all as phenomena—aesthetic, technological, political or historical—rather than strictly as media. Hence the necessity of establishing dialogue between photographic, video, multimedia, film or performance works and documents, texts, other disciplines and critical positions from multiple domains. Our intent is thus to transcend the disciplinary boundaries of art and—as will be more acutely asserted in the future—its historical categorizations. We also plan to regularly mount solo exhibitions of emerging artists, accompanying them in the production of new works and assisting them in touring their exhibitions. Supporting artists in the long-term presentation of their works is one of the primary goals pursued by VOX. Over the years, we have acquired expertise in this area that has benefited several artists in Canada, Latin America and Europe. Our aim is to better structure and professionalize that area of activity by engaging in touring, partnership and co-production projects with organizations based in Canada, Europe or elsewhere. It bears emphasizing here that the majority of VOX’s projects are conducted in partnership, whether with presenters, publishers, universities or companies. The capital project involving the 2-22 building, for example, took shape thanks to a partnership with Artexte and the RCAAQ. Our group of institutions is now known as Art actuel 2-22, in reference to the fact that we are housed at a new address, 2 Sainte-Catherine Street East. In this new context, we intend to continue acting in a complementary manner and in partnership with the contemporary art research and presentation network, both in Montreal and beyond.